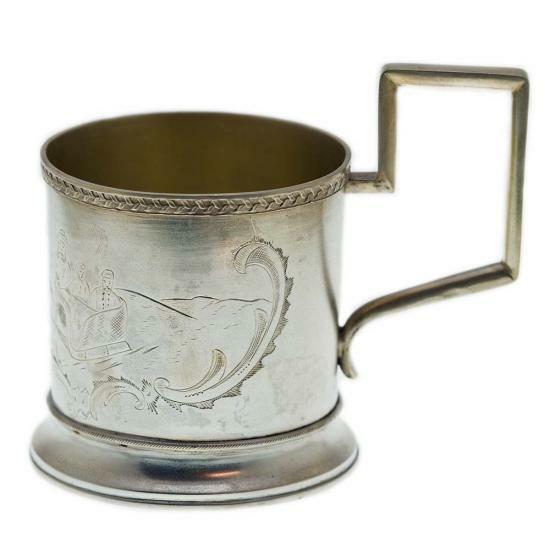 0.84 Russian Silver Christmas Tea Cup Holder. 1908 - 1926 The Second Kokoshnik Mark. Unable to identify Town Mark. Total height to top of handle 98mm.